After debuting at New York Comic Con 2017, Tenacious Toys has just put up for pre-sale Abe Lincoln Jr’s Rocky, the first figure in Abe’s new line of Satanikids resin figures! What’s great about this release is that it’s a perfect 3D rendering of Abe Lincoln Jr’s signature cartoony art style. Sculpt by Mike “NEMO” Mendez and cast by Jacob JAMS, Rocky stands 2.5” tall and is limited to just 13 pieces. Each figure also includes a free Satanikids comic. The Blot would love to read that one! 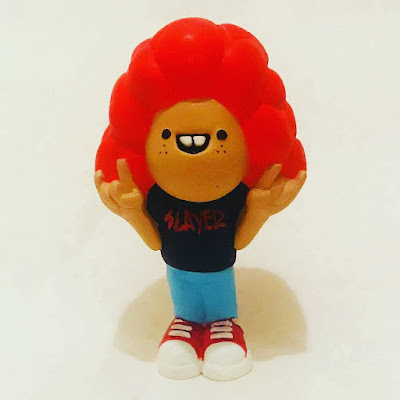 Collectors can order a Satanikids Rocky resin figure now at the Tenacious Toys online store for $35.